Oracle Database is a multi-model database management system produced and marketed by Oracle Corporation. It is the world’s most popular database for running online transaction processing, data warehousing and mixed database workloads. 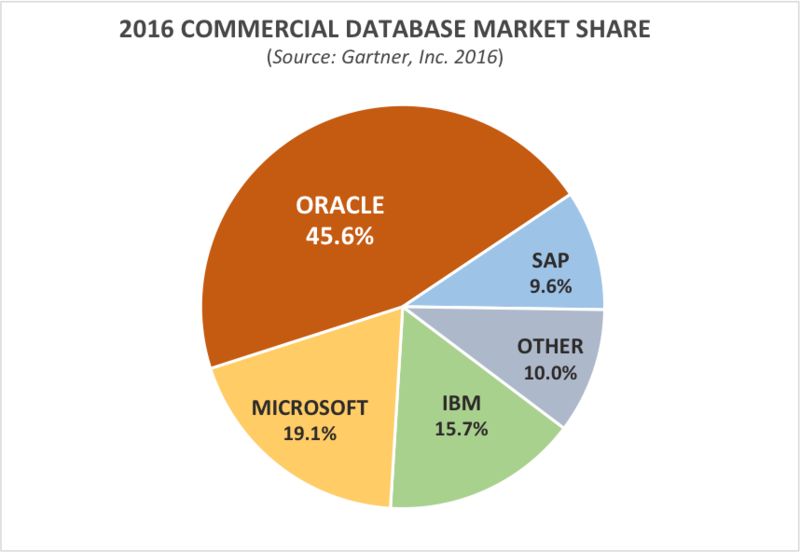 Oracle Database is the most popular database of the world. Today Database management is one of the most lucrative fields in IT. In Fact, Every company has large volumes of data that needs to be efficiently,effectively and securely managed so as to Required Database administrators. This is analyzing, capturing, updating and optimizing highly complex data sets and data stores to ensure high performance and highly available databases. Oracle is ported to more platforms than any of its competition, running on more than 100 hardware platforms and 20 networking protocols. This makes writing an Oracle application fairly safe from changes of direction in hardware and operating system, and therefore a safe bet. One caveat, however, is that applications using some constructs (such as field level triggers) may have to be reworked when porting them to a block mode environment. You can also develop a fairly fully featured application with little knowledge of the underlying OS. Personally, I have developed applications on OS systems barely knowing how to copy and edit text files. Oracle is by far the largest RDBMS Vendor, and spends more on R&D than most of its competitors earn in total revenue. 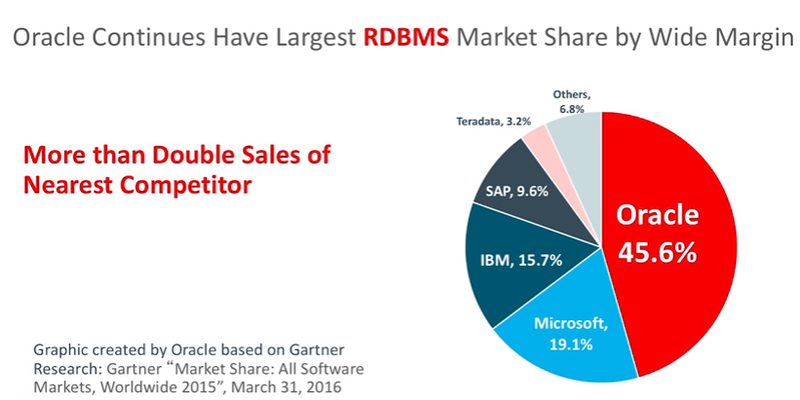 Oracle has the largest independent RDBMS market share in VMS, UNIX and OS/2 Server fields. This market clout means that you are unlikely to be left in the lurch by Oracle and there are always lots of third party interfaces supported and also, proficient staff are relatively easy to get. Oracle seem very good at informing you in detail as to what is not going to be supported in the next major release and usually have some knob you can twiddle for good backward compatibility, or simply leave it working, but with “don’t use this, use xxxx instead” warnings in the manual. Backward compatibility is very good meaning you will not be in for an application re-write when you upgrade the DBMS. [Compare this with the Ingres v5->6 OSQL upgrade from hell.] I’ve worked with Oracle since V4 Beta and have never been in for nasty surprises as far as syntax goes. However, see “Version Changes” under disadvantages. Oracle provides industrial strength support for on-line backup and recovery and good software fault tolerance to disk failure. You can also do point-in-time recovery. Of course, you need the archive mechanisms and storage space to do this, but Oracle supports continuous archiving to tape devices spanning multiple volumes. Speed of a *tuned* Oracle database and application is quite good, even with large databases. Oracle refer to >100 GB databases and have personal experience administering 10 GB databases. The performance is not only “raw”, but includes consideration of performance with locking and transaction control. Oracle, like Ingres, but unlike Sybase (until Release 10 I think),supports cursors which ease programming when performance is needed. A cursor basically lets you do row-by-row processing. Oracle supports multiple cursors per Oracle connection in line with ANSI standards. The dialect of SQL offered by Oracle is in my opinion superior to the others in the extensions it offers over ANSI-2, which is very much a lowest common denominator. Constructs such as the absolute function and decode keyword are very powerful Oracle additions to the standard SQL. Oracle has a superior ability to manage multiple databases within the same transaction using a two-phase commit protocol. This is best implemented in V7. You can fairly easily move where data is actually stored from node to node in a network and have data mirroring, making it easy to optimise the location of the data from time to time. This is not so easily done with offerings from other vendors or earlier versions of Oracle, where you were not able to update more than one database in the one transaction with any reliability. This meant that you could not move data around without recoding your programs. With V7, your DBA can optimise the location without pre-planning by programmers or re-examination of the code prior to the move. 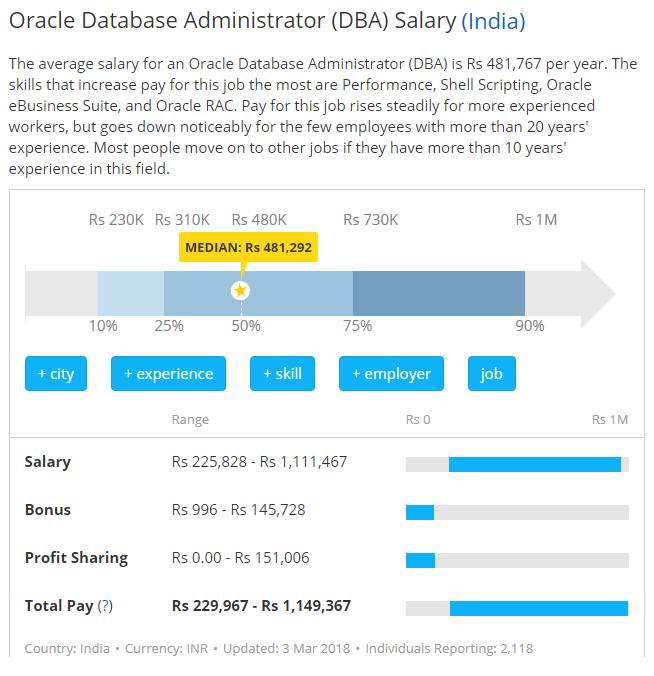 The search for a career with almost no risk of layoffs even when company’s downsize then the job is none other than a career in database administration. Skilled database administrators are also in demand in the market. Also as a company’s database continues to grow there is a huge need for individuals who can manage, maintain and develop databases as set up/designs, troubleshooting problems and setting parameters to maximize performance. 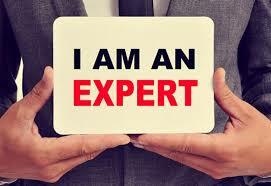 Focus Training Services Provides Oracle DBA Training with highly experienced trainers. Focus Training Services is offering Oracle DBA with SQL and Linux which enables our students to get be best technical exposure and career opportunities.